Felix Neco-Quinones was born in 1946 in Rio Piedras, Puerto Rico. He enlisted in the U.S. Army on July 7, 1967, and completed basic training at Fort Jackson, South Carolina, in September 1967. Pvt Neco-Quinones attended Advanced Individual Training as an Infantryman at Fort Jackson from September to November 1967, and then deployed to Southeast Asia in December 1967. 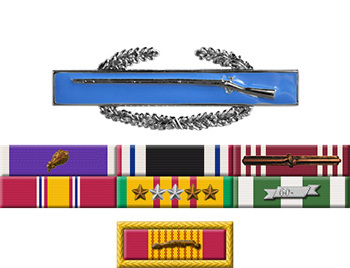 His first assignment was as a rifleman with Company C, 3rd Battalion, 39th Infantry Regiment of the 9th Infantry Division in South Vietnam from December 1967 to March 1968, followed by service as a rifleman with Headquarters Company, 3rd Battalion, 39th Infantry Regiment of the 9th Infantry Division from March 1968 until he was captured and taken as a Prisoner of War by the Viet Cong on July 16, 1968. 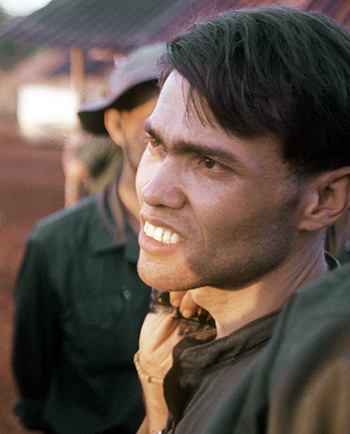 After spending 1,673 days in captivity, SSG Neco-Quinones was released during Operation Homecoming on February 12, 1973. He was briefly hospitalized to recover from his injuries at Fort Gordon, Georgia, and then was medically retired from the Army on July 9, 1973.